Graceful strength starts with a commitment to taking care of yourself, first and foremost. All too often we get caught up in life’s curveballs; attending to everyone and everything around us as we lose sight of what’s most important…our own health and wellbeing. 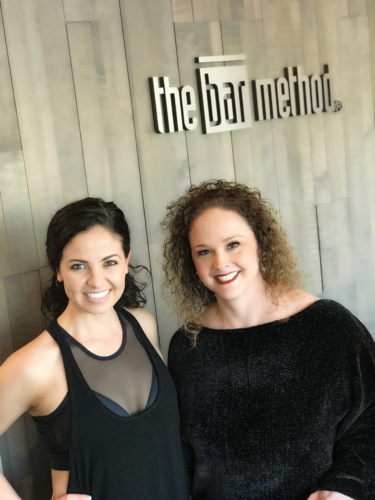 Here’s how one client in Southlake Texas transformed her life through Bar Method and ultimately became a better version of herself for her kids, husband and career. “Between 2011-2016, I gave birth to my precious son, nearly lost my father to multiple heart attacks and lung complications, and cared for my mother as she went through extensive back surgery to allow her to continue to walk. Through all of the surgeries and scary times I was trying to be the best mother, wife and daughter I could be while working full-time. At the end of 2016, luckily all of my loved ones were safe and healthy. However, I had stopped taking proper care of myself. I had gained weight from stress, lack of sleep, and was always exhausted. My workouts were unproductive and I needed a change. I read about The Bar Method in an article and continued to research it. I was impressed with the overall health benefits of barre. Shortly after, I saw a Facebook ad announcing a new location opening less than 2 miles from my home. I immediately signed up! My expectations were exceeded as soon as I started taking classes. After one month my lower back pain and ankle joint pain disappeared (side note: my mother suffers from disabling arthritis and back issues, most of which began for her at age 40). I just turned 41 this year and feel amazing! My doctor is impressed and pleased with my overall health. After 8 months, I’ve lost 15 lbs and several inches. My clothes look and fit so much better and I feel more confident about my appearance. Mentally I am better at all of my life roles – mother, wife, daughter and in my career. 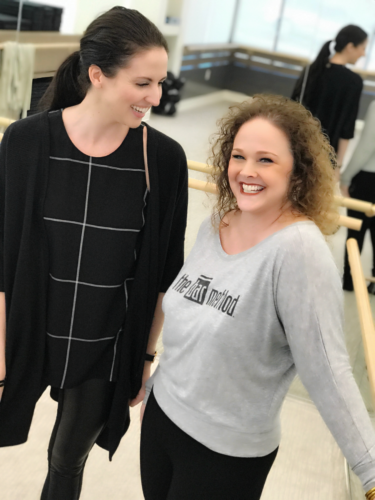 Studio Co-Owner, Erin Bulcher & Amy Harper all smiles after class! Studio Co-Owner Nicole Bulcher & Amy Harper pose for a photo after class! I started taking class because: I was interested in the health benefits of what The Bar Method had to offer. My favorite exercise is & why: Arabesque, because of the physical challenge and mental focus it takes to stay in good form. I feel my strongest when: I accomplish something new and challenging (even if small) with my form. The Bar Method is: My favorite workout and MY time! My hour in the day to take care of me. We love how The Bar Method has made a profound impact on Amy’s life! How has this workout changed your life? Leave us a comment below!